On this week’s Social Media Marketing Talk Show with Erik Fisher, we explore Instagram location and hashtag stories with Peg Fitzpatrick, autoplay video ads on Pinterest with Jeff Sieh, Twitter Direct Message and emoji updates with Madelyn Sklar and more breaking social media marketing news of the week! If you’re new to the show, click on the green “Watch replay” button below and sign in or register to watch our latest episode from Friday, May 26, 2017. 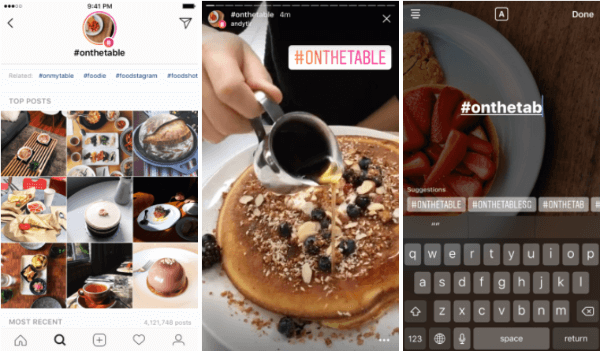 Instagram rolled out two new ways to discover the world around you on Explore and find images and videos that are related to your interests – location and hashtag stories. 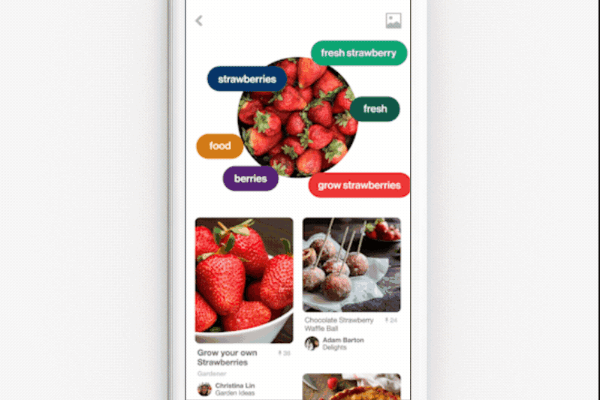 Pinterest rolled out the ability to use the Lens Camera to take a photo of an entire dish and get recipes to recreate the meal. 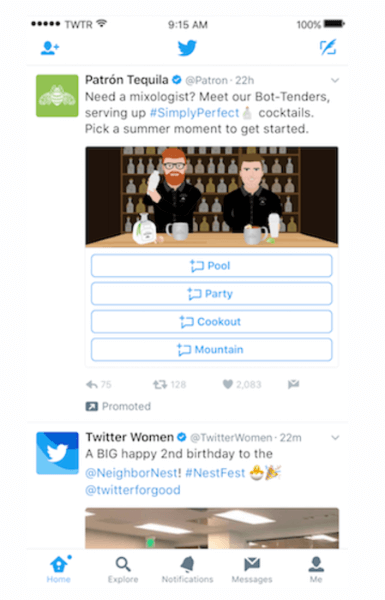 Twitter launched new, customizable Direct Message cards. Twitter Adds Support for Live 360-Degree Videos to Apple TV App: Twitter updated its Apple TV app with the ability to watch live 360-degree videos and support for Periscope’s Global Map. Adweek reports that “Apple TV users can use the Siri remote to explore 360-degree videos from any angle and search for live 360 videos via the new Periscope Global Map.” With the rollout of these new features, Twitter becomes the first Apple TV app to support live 360-degree video. Facebook Adds New “Order Food” Section to Main Navigation: Facebook added a new “Order Food” option that handles the entire take-out process from select restaurant pages “from ordering to checkout,” all within Facebook. This new option can be found within Facebook’s main navigation menu and is rolling out to “select users” on both the web and mobile. 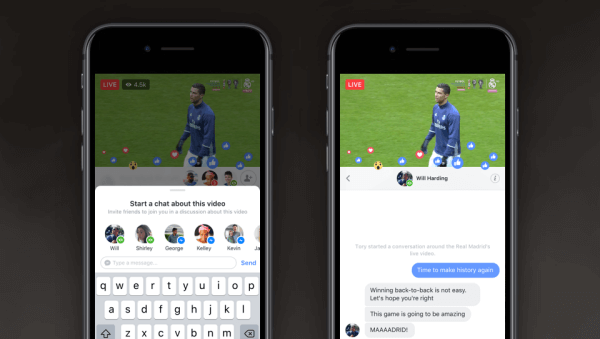 Facebook introduced Live Chat With Friends and Live With, two new features that make it easier to share experiences and connect in real time with your friends on Live. Facebook Experiments With New Trending Results Features: Facebook introduced a redesigned Trending results page that will now feature “a carousel with stories from other publications about a given topic that you can swipe through.” This new feature is currently only available for iPhone users in the U.S. but is coming to Android devices and the web “soon.” Facebook also announced plans to begin testing new ways to make it easier for users to find its list of trending topics within the news feed. 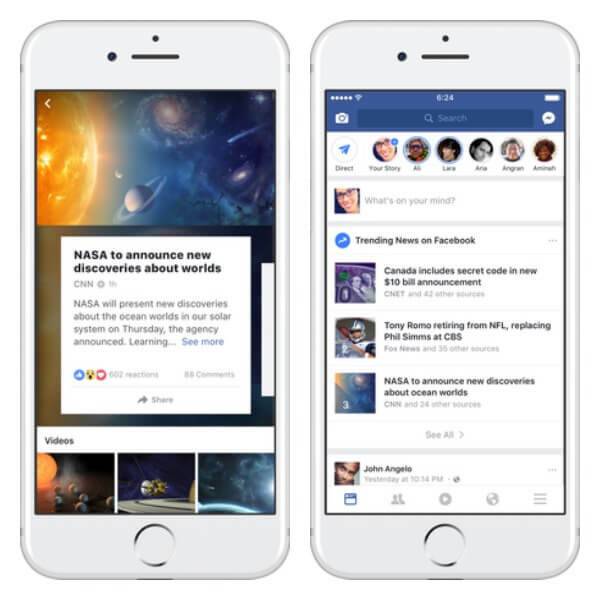 Facebook redesigned the Trending results page on iPhone and is testing a new way to make it easier for users to find a list of trending topics within the news feed. 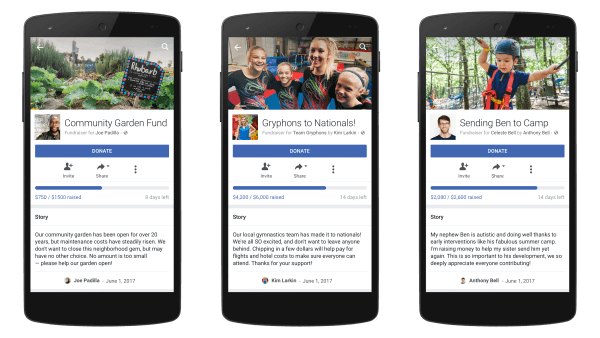 Facebook Expands Personal Fundraising Tool to More Users: Facebook gives users “another way to mobilize around causes they care about by expanding personal fundraisers to everyone over 18 in the US and by adding [support for] two new categories – community and sports.” All fundraisers must first be submitted and approved through a review process and are subject to fees that cover security, fraud protection, and other costs. Facebook expands its personal fundraising tool to more users in the U.S.
Facebook Redesigns Messenger Home Screen: Facebook rolled out a new look and layout for the Messenger home screen that features new sections and tabs, activity notifications, and a central hub “for connecting with the people and businesses you want to in whatever way you prefer.” This Facebook Messenger update is available worldwide for all iOS and Android devices. 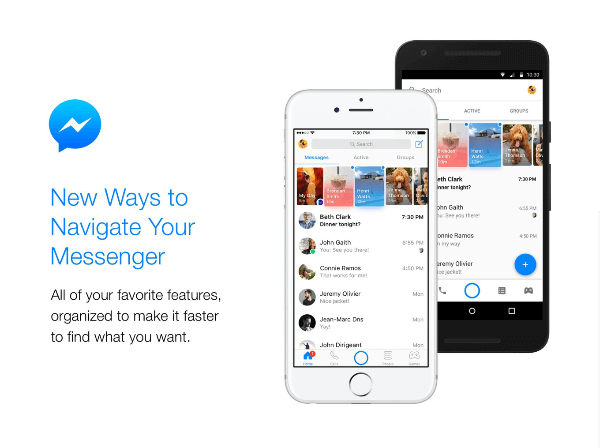 Facebook announced a new look and features for the Messenger home screen. Facebook, Messenger, and Instagram Test Cross-App Notifications: Facebook, Messenger, and Instagram are each testing new cross-app notifications that “make it easier for people to discover and connect with the people and things they care about” and easily switch between their various notifications from each account. Facebook confirms that this is only “a very small test” for now. Facebook Allows Group Admins to Easily Screen Potential New Members: Facebook recently rolled out a new feature that allows group admins to “establish up to three questions for people requesting to join their Group.” This new screening tool lets admins easily vet potential members “to ensure they’re the right fit for the group and will add constructively to the discussion, not just spam or troll the Group.” This feature is now available to all Facebook groups globally. 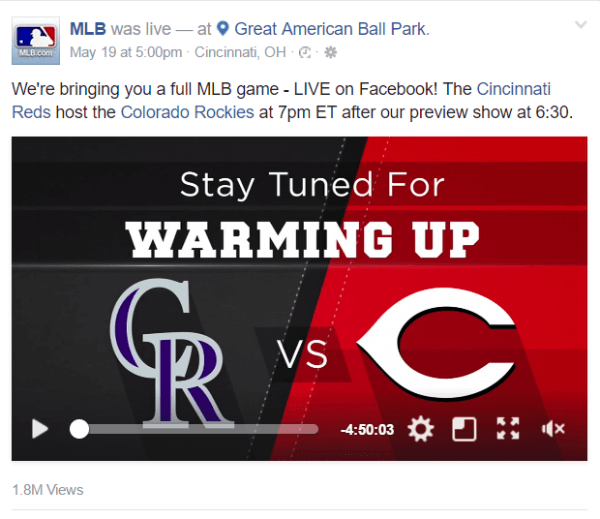 Facebook Partners With Major League Baseball on New Live-Streaming Deal: Major League Baseball and Facebook have finalized a partnership to stream at least 20 games on a weekly basis “with the remaining games to be announced at a later date.” These games can be accessed for free by U.S. viewers on the official MLB Facebook page. Facebook partnered with Major League Baseball on a new live-streaming deal. Facebook Tests New Ways to Connect Users to Local News: As part of the Facebook Journalism Project, the network is testing three new products that “help people better discover local news and meaningfully engage with their community.” Facebook will use the Groups feature to build communities and facilitate more discussion around local news stories. Facebook is also rolling out a new badge that identifies local users when they comment on a news story and a tool that helps people find local groups that are relevant to their interests.